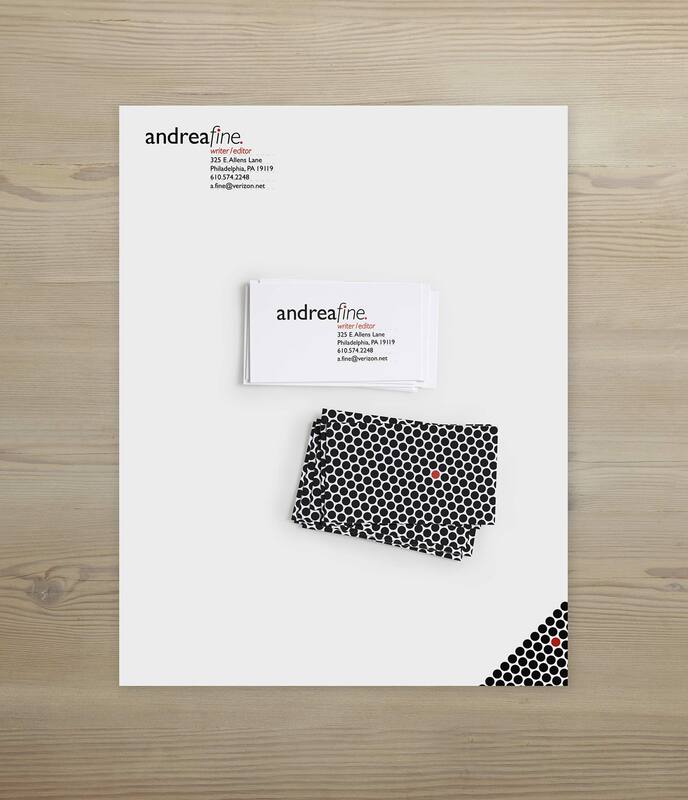 Andrea is a copywriter with an eye for detail and a candid style. She also has a last name that’s worth designing for—”Fine”. She was looking for an identity package to help her with getting business in networking. Since her style is candid, a black and white solution made sense. 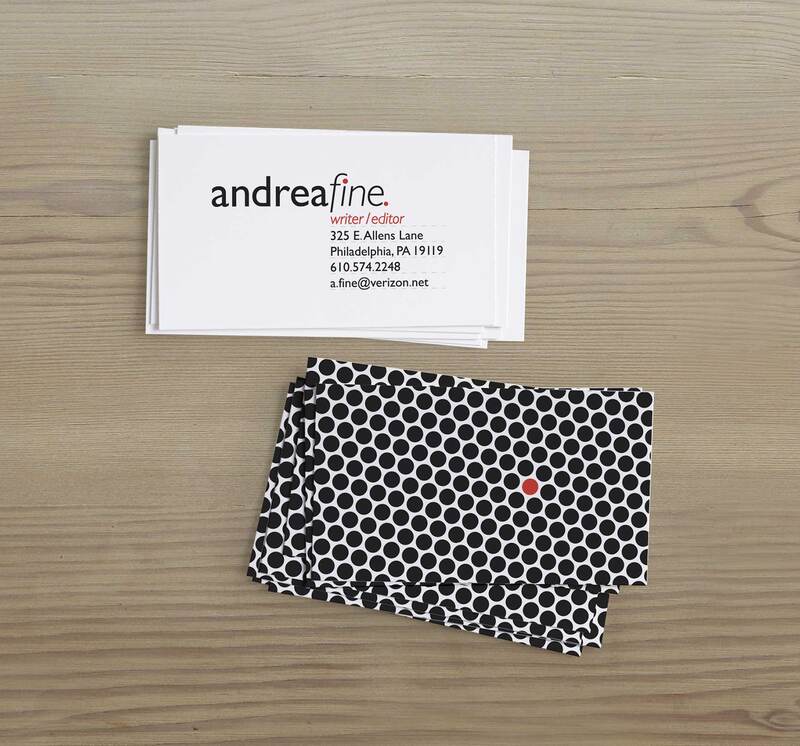 Her branding highlights her name in a simple sans-serif with a bold first name and a light last name to highlight “Fine” in meaning. To represent her eye for detail, all punctuation is in red. Then to symbolize differentiation a single red dot in a pattern of sea of black dots on the back was used.